Our color catalog is a great reference guide to have in your office for showing your customer what Owens has to offer. Please feel free to download this catalog to your desktop and keep it handy. Owens Products Venom II Jeep Sport Performance Hood won runner-up in the New Products category at the 2017 SEMA Show. The Venom II Sport Jeep Performance Hood stood out at the SEMA Show 2017 among 3000 entrants in its category. 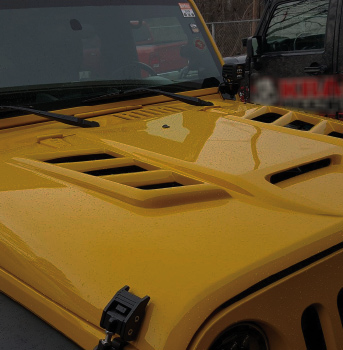 The sporty performance hood fits the JK and uses all the factory installed OEM parts for performance and installation. The Venom II Sport Performance Hood is a nice counterpart to our Venom Heat Extraction Hood for those who do not need the heat extraction option. 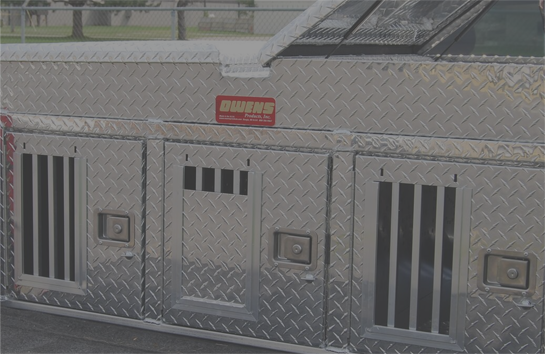 Our K9 Transport Units are built to stand up to the demands of your working dogs. 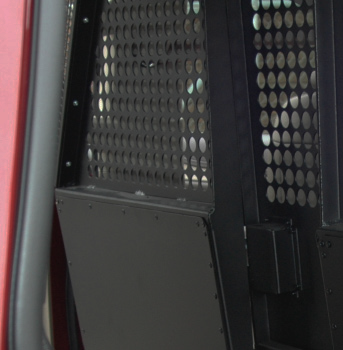 From K9 Units in police vehicles to DEA demands, these K9 transport units, including inserts and crates are designed with your dog's day-to-day needs in mind. 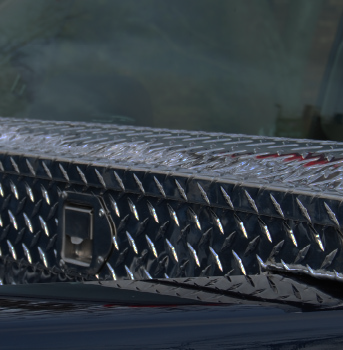 Read more about Built for Cops by a Cop! If you would like a copy of our application guide for your office, please download the pdf document below. 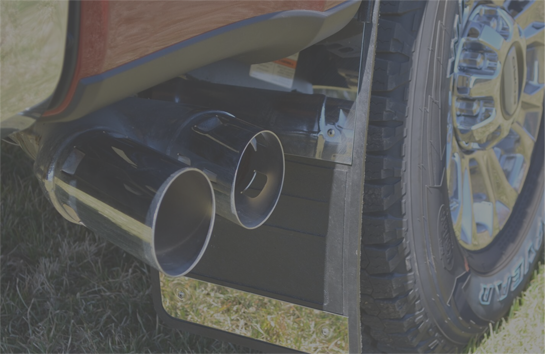 Be on the look-out as we will be working on all new application guides next. We are always working hard to update and make things better! Fusion Oval Step - The Heavy Duty Step You Have Been Looking For! Our Fusion Oval Steps are undoubtedly the strongest step we have ever offered. Manufactured from .200 thick extruded aluminum with dual outer core construction, these steps have been tested to withstand over 550 lbs. 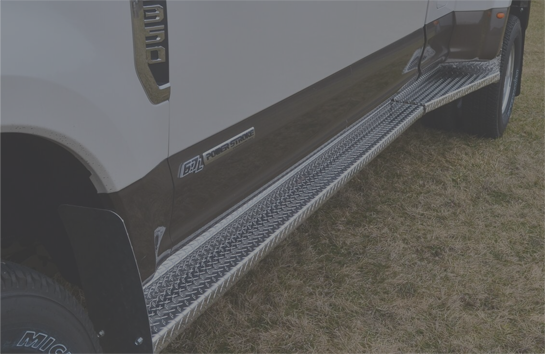 Available in textured black or textured nickle powder coat finish, the steps are available in cab length, full length and long/short truck, van and Jeep applications. No drill vehcile specfic brackets are sold separately. Read more about Fusion Oval Step - The Heavy Duty Step You Have Been Looking For!